ZeeVee’s product deployment at BrandStar will be featured on Office Spaces, airing on Lifetime Television. BrandStar is a branded entertainment company that produces programs for Lifetime, Fox Business, and the History Channel. The complete retrofit of its 11,000 square foot facility in Deerfield Beach, FL is being featured in an eight-part series of Office Spaces, a new TV show devoted to well-designed office spaces, and hosted by acclaimed interior designer, Kalyn Rothaus. Complete Integrated Technology acted as the technology advisor and installation company for this project. 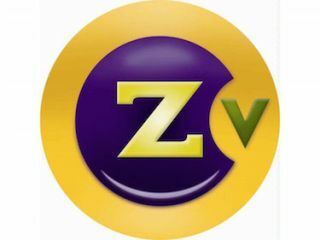 The video distribution solution for this corporate environment embraces both the ZeeVee HD bridge products as well and the IP-based ZyPer products providing a blended environment with many uses. On the IP network, applications include video distribution over fiber to digital signage devices, executive 4K conference room displays, PC desktops, Barco 4K Projectors and a Planar mosaic. On the coax network, input from the cable network, digital signage and live studio feeds can be distributed to 50 HD TVs throughout the facility. The ZeeVee solution is highlighted in the episode scheduled to air on May 30 at 7:30 a.m. (PT/ET). The entire line of ZeeVee products that were deployed at BrandStar in Las Vegas will be demonstrated at InfoComm 2016.